Join us this evening at 7:00 P.M. as we host a panel discussion on the Battle at Dardenelle and other skirmishes in Arkansas, presented by historians Wayne Phillips, Paul Staton, and Michael Whitaker in the Ross Pendergraft Library & Technology Center, room 300. The guest lecture is part of our month-long recognition of the 150th anniversary of the Civil War, featuring speakers, musicians, and a traveling exhibit called, Civil War 150: Explaining the War and Its Meaning Through the Words of Those Who Lived It. 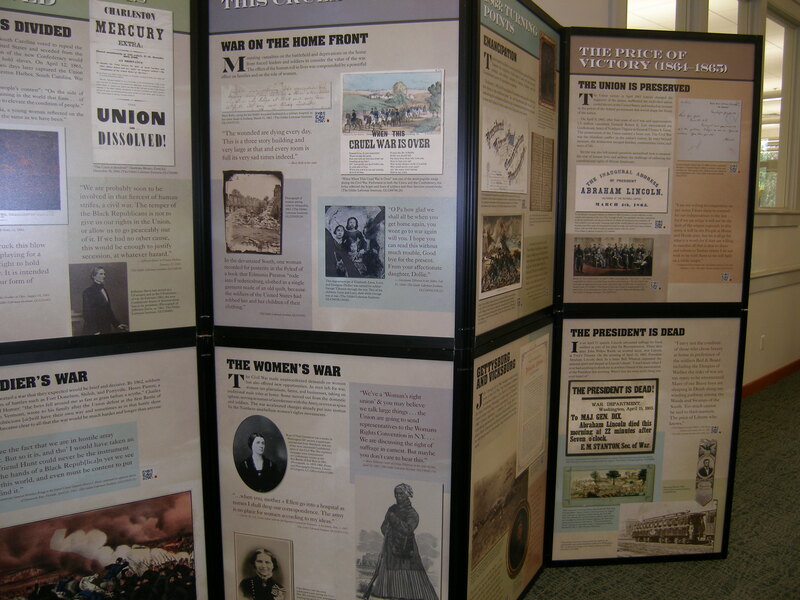 The exhibit panels, located near the south entrance to the Library, depict events and primary source documents from the Civil War such as newspaper headlines, portraits, and photographs. 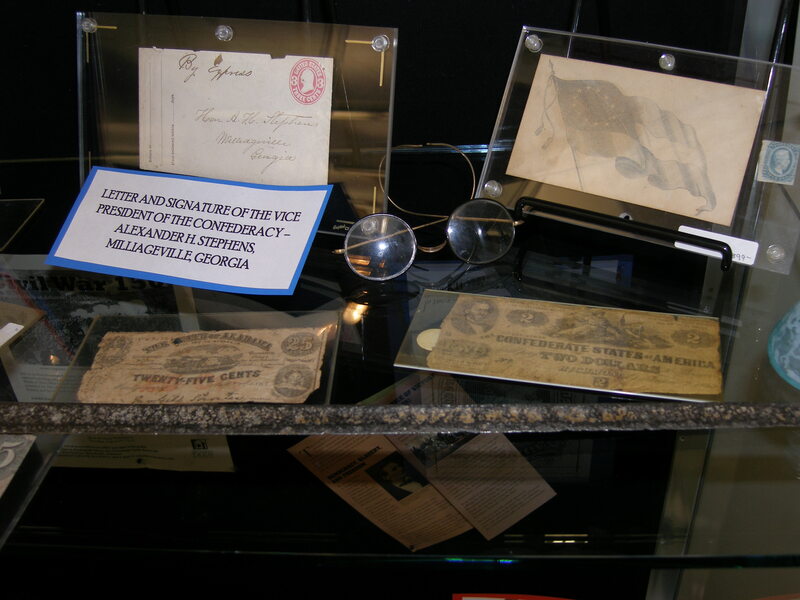 In our exhibit cases at the north entrance, you’ll also find a collection of Civil War era artifacts including a sword, confederate currency, bullets, a powder horn, and other antiques loan from Paul M. Slaton, owner of The Emporium in Russellville. Don’t miss our final guest performance next Thursday, August 29th, when we feature the musical group HARMONY, performing music from the Civil War era at 7:00 P.M. in room 300.